On Thursday 31 May staff and students from across the University came together to host the second Postgraduate Virtual Open Day. The event was targeted at offer holders and individuals considering both Postgraduate taught and research courses and was attended by 185 visitors from all over the world. The digital platform enabled visitors to learn more about our facilities, courses, research and postgraduate student life. In addition it was possible to join live chats with staff and students. The two live webinars were extremely popular with 114 visitors watching and participating in the Ask the Expert session. The panel consisted of staff from Admissions, the Doctoral College, Student Services and Careers. 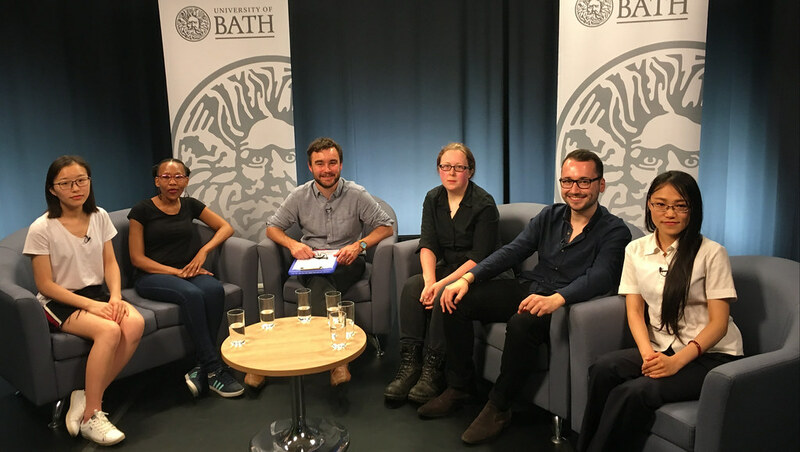 For the first time current Postgraduate students took part in the Student Panel which attracted 90 visitors answering questions on topics including living in Bath, support for international students and getting involved in societies. We are grateful to all of the staff and students that took part in the live webinars and supported the chat rooms. We believe that these elements of the day provide visitors with a greatly enhanced experience than they would get from the virtual content alone. The virtual platform will remain open for a while longer if students or staff wish to register and log in to explore it. The two recorded webinars are available in the Lecture Theatre.